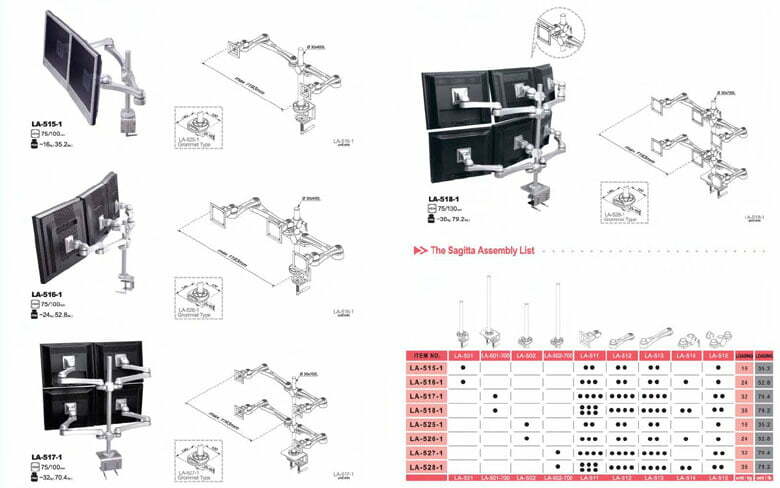 We supply and deliver monitor stand and monitor arm accessories Australia wide. Your computer monitor needs to be positioned for good ergonomics. 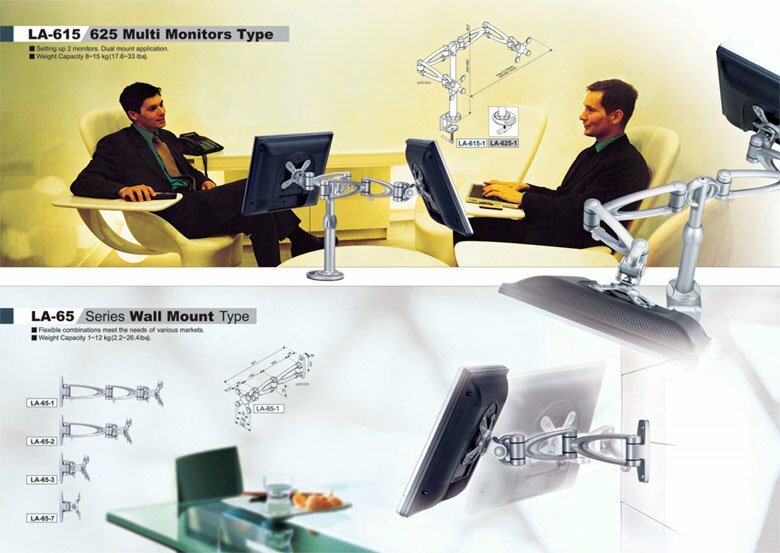 With your chair and desk set up in accordance with recognised ergonomic guidelines, a well-made monitor stand or monitor arm will allow you to position your computer monitor appropriately. You need the top of your computer monitor to be approximately level with your eyes so that you do not need to lean forwards or tilt your head backwards in order to view the contents of the screen. Most LCD monitors come with an inbuilt stand, however, with these inbuilt stands, height adjustment is not usually an option. You could be lucky in that the height of your monitor is perfect for you but there is a high chance that it won’t be, therefore, it makes good sense to mount your monitor on a good quality, adjustable monitor stand. It is becoming increasingly popular for people to work with two computer monitors at the same time. We can supply various dual monitor stands to suit your requirements. A convenient way to mount an LCD monitor is to attach it to a wall using a wall mount monitor holder. 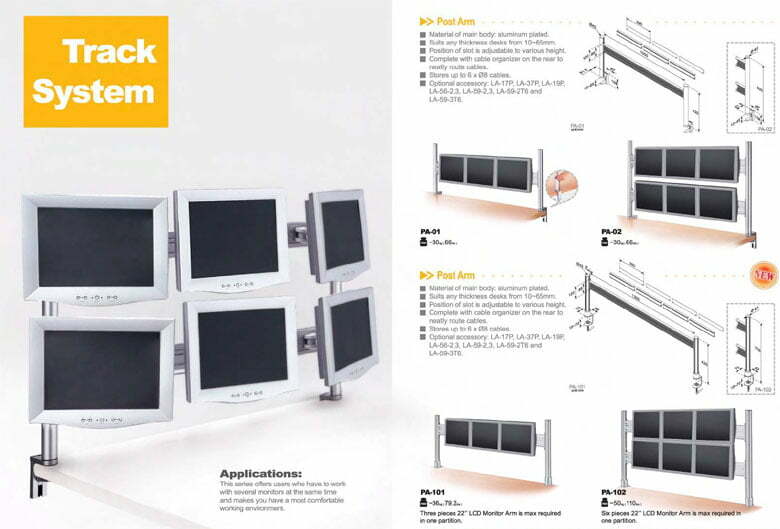 In some situations you may find you need to mount many monitors in a small amount of space. The track system allows for exactly this. 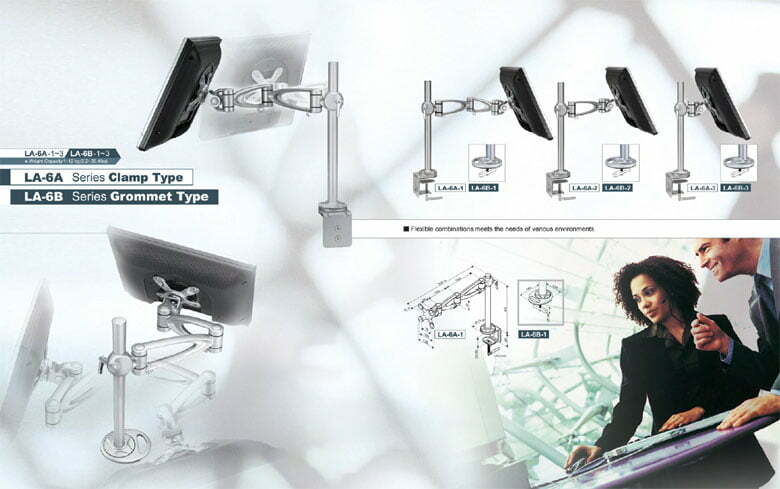 The Sagitta range of monitor arms allows for single, dual, and triple monitors to be mounted on your desk. It can even allow you to have as many as six LCD monitors arranged for your convenience.